In his works, Andreas Fogarasi engages consistently with the development and transformation of urban spaces, their conditions of perception and linked processes of the transformation of urban life. Using various media, he explores the institutional or spatial determinations of concrete sites; by way of formal interventions that seem almost happenstance he exposes their structure as a constantly changing space of action. 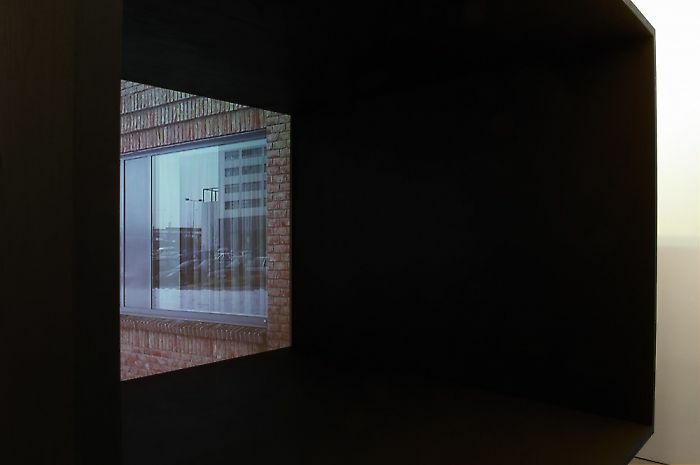 For his exhibition at Georg Kargl BOX, the artist, born in Vienna in 1977, developed a video installation that fills the exhibition space. 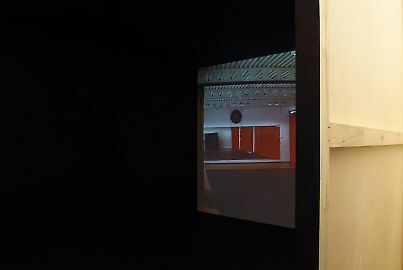 A cube, facing the entrance, pushes through the exhibition space, serving as the projection room for a series of video works showing cultural and leisure institutions in Budapest. 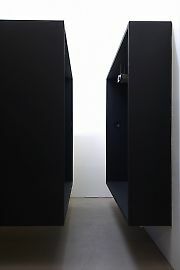 The object, hung on the wall, finds its formal complement in the niche opposite, only leaving a narrow passageway open. With the perfect craftsmanship of its outside surface, the installation seems deceptively solid, but as we walk around the object it reveals itself to be a mere façade hiding the constructive elements of the cube, now exposed. The tension of the installation results not just from the content presented. In this stagey construction, the beholder is physically, actively integrated in the installation, whereby clear classifications and assurances of reality and deception are broken. Fogarasi's objects constantly refuse clear categorisation, and play with the flexibility of form and meaning in moving between autonomous sculpture and everyday object. 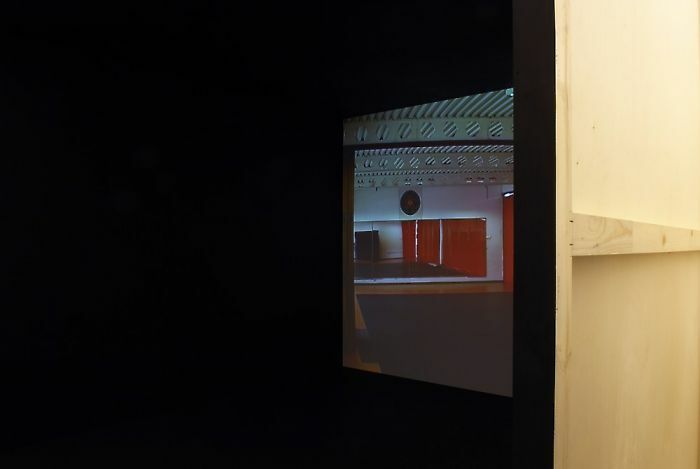 In its formal, aesthetic presence, Fogarasi's object is both an artwork free of any function and legible in its function as a projection space, an object often used in exhibitions. 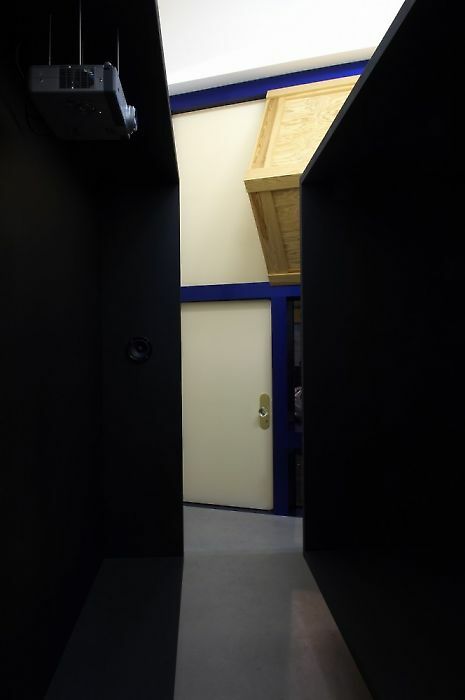 Within the exhibition space, which is architecturally dominated by Richard Artschwager's façade, the artist creates a closed, autonomous site in which the perspective of the receiver—as in a picture stage—is subject to fixed determinants. Interested in the staging of architecture and space as a result of his architectural training, Fogarasi provides the beholder with an experience of perception contrary to the usual spatial system of orientation by way of a simple architectural gesture. In the video works shown, Fogarasi explores the extent to which architecture or public space is not just constructed as the place of concrete everyday experience, but also in dependence on political, social, economic or cultural contexts. 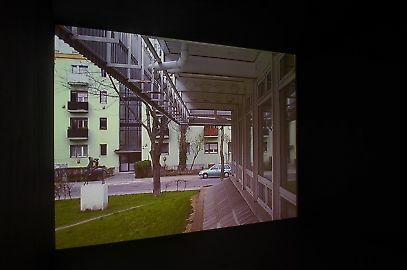 In slow camera movements, cautious zooms and precisely placed stills, he scans the architectural surfaces of a series of cultural and educational institutions in Budapest. A theater, a cinema, a dance studio, a classroom: they all seem like almost stage-like constructions of reality, and not genuine evidence of once present realities. They are in a way forgotten institutions: high culture has moved to other venues, but they are used by many different groups: children's theater groups, a men's chorus, a photography club, language courses, or senior citizen's groups. Fogarasi documents their architecture, which usually has not been changed for a long time, as well as traces of use. Lampions from a children's party, props on a stage, or the urban context are coupled with narratives that repeatedly flash up through intertitles. Always in the foreground is a gaze that is analytic and exploratory in its examination of social and architectural spaces, never evaluative or exposing. Based on the tradition of nineteenth century workers' clubs, in socialist Budapest cultural and leisure institutions were established all across the city beginning in the 1950s that were to serve the education and entertainment of the working masses. In the following decades, a lively underground cultural scene could emerge in some of these spaces within the rigid political system, repeatedly escaping state control. With the fall of the Iron Curtain, the opening up of Eastern Europe and the subsequent political transformations, the climate for these state-funded institutions changed dramatically. Many had to close, or their spaces were used for new purposes, while others today compete for the paying audience and public funding. 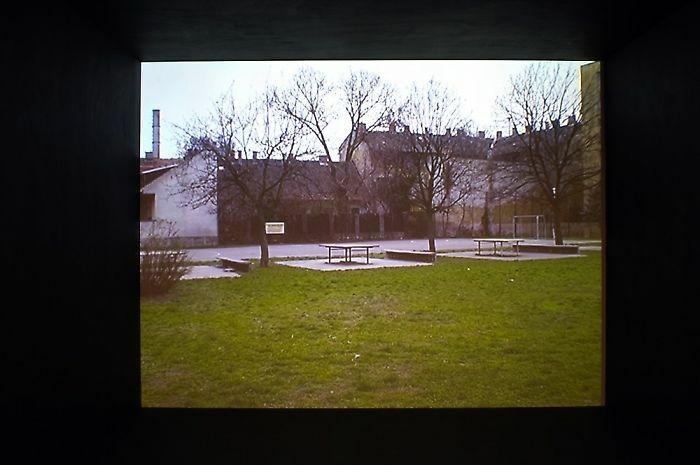 What Fogarasi shows using the example of Budapest can be applied to European urban developments and their cultural representation in general. The city centres of Europe have long since been transformed into centres of mass tourism dominated by the economic values. In the same way, the cultural multiplicity of the art world has been reduced to a few names hyped by cultural tourism, their work streamlined for the masses around the world and presented to visitors as easily consumable spectacle. Fogarasi argues in his works for a critical discourse about these developments, by reflecting on the dependency on market economics and the functionalisation of cultural production. Fogarasi asks, "What spaces do we claim for culture, how do they represent themselves, and what culture do we actually mean?" 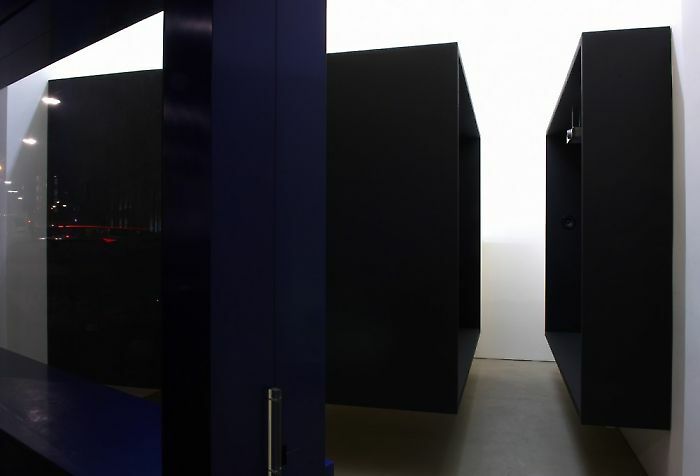 The exhibition consists of two parts: a second exhibition site will be announced at short notice.